Posted on July 7, 2017 at 9:06 am. In the past, we’ve gone over the strategies of gaining exposure for your business’s social media accounts. There’s one we briefly touched over that deserves much more attention, though. Hashtagging keywords relevant to your business is a great way to get discovered. Using Twitter and Instagram hashtags is one of the best ways to grow a following. We have some advice on how to properly hashtag to grow your brand’s awareness. If you aren’t social media savvy, then contact our digital marketing agency in McAllen to start building your business’s presence! Building a brand for your business on social media can be done by creating your own hashtag. Consider simply going with your company’s name since it’ll be easy to remember. On the other hand, if your company has a creative and fun tagline, this can be used instead. We recommend using this hashtag with each post you make. Over time, your followers will become familiar with it and start using it themselves in posts relating to your company. A great opportunity to use your hashtag is when your business is running a campaign. For example, if you create and coordinate a contest on social media that requires picking a winner, having participants use a special hashtag can be very useful in locating their posts. This is also great when gathering analytics of each contest or campaign that you execute. It’s best to use hashtags that are engaging rather than trending to benefit your business in the long run. When writing content, we’re very careful about which SEO keywords we use. The best way to understand hashtags in your social media efforts is by thinking of them as those same keywords. Your business account receives exposure and is discovered by whomever searches a term or keyword related to your business. Remember to always keep your hashtags short and simple in order to prevent users from misspelling them as well. 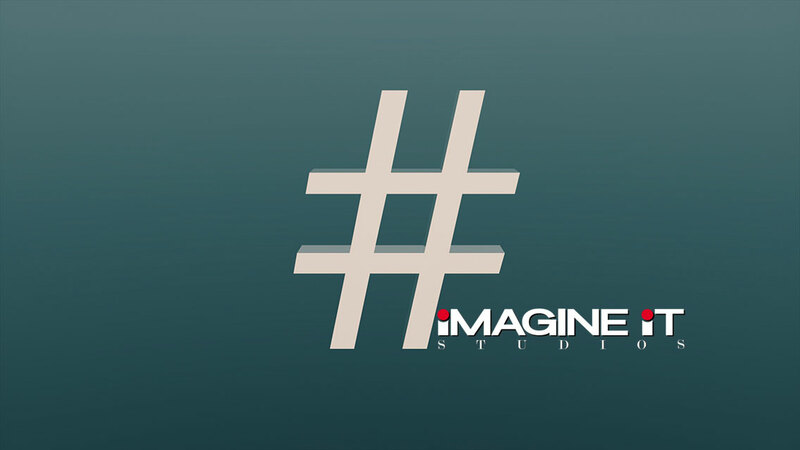 These hashtags can be fun and give your business a bit of an edge. Don’t spend too much time going back and forth with deciding what to post with so many at your disposal, though. Many brands and companies like to stay on top of trends but make special use of them by tying them into their services. Be sure to do the same. Did you know that there’s a 30-hashtag limit per post on Instagram? That’s right, this social media giant doesn’t like desperate account holders either. Having too many hashtags in a single post can be annoying to some users. This can also expose you to spam accounts looking for followers. Sometimes less is better because, the more specific you are with your hashtags, the more targeted your audience will be. Play it safe and keep your hashtag count to 10 at the most per post. Using hashtags – and the term itself – is a part of our culture and seems to be almost a kind of norm. In fact, it’s so recognized that it’s made its way into the Oxford Dictionary! If you still don’t feel familiar with the hashtag and its concept, our social media strategists can take care of all of the hard work for you. Reach out to us today to get started! Engineering a New Look and User Experience for Solorio, Inc.